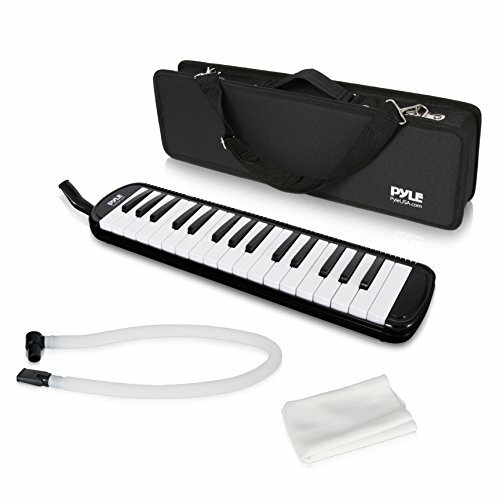 The Pyle PMLD12BK Melodion Melodica is a great addition to your instrument collection! 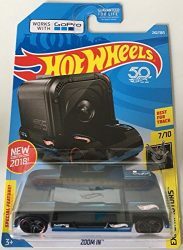 Its unique design and beautiful sound will leave you and your listeners in awe and would want you to play more for them! 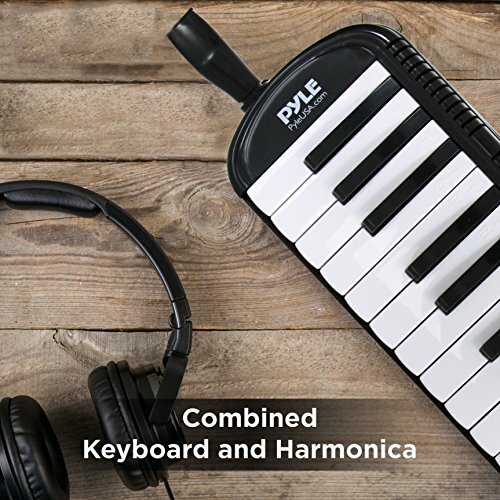 The instrument sound more like a harmonica, accordion, and organ combined and is really pleasing to the ears, sounds like a one-man band if played by an advanced melodica player. From time to time, this instrument also needs to be tuned just like any other instruments. 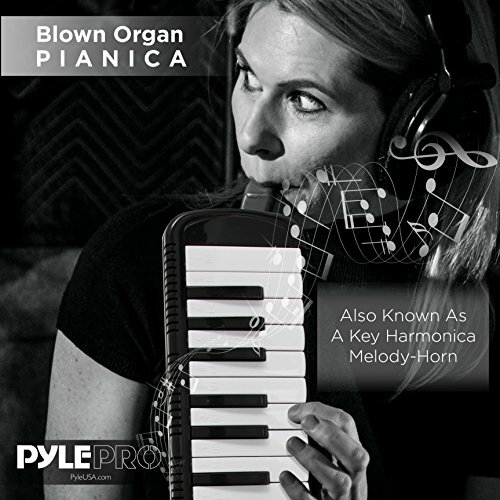 UNIQUE INSTRUMENT: The Pyle Black Melodion Melodica is a free reed instrument with a mouthpiece, air chamber and keyboard. 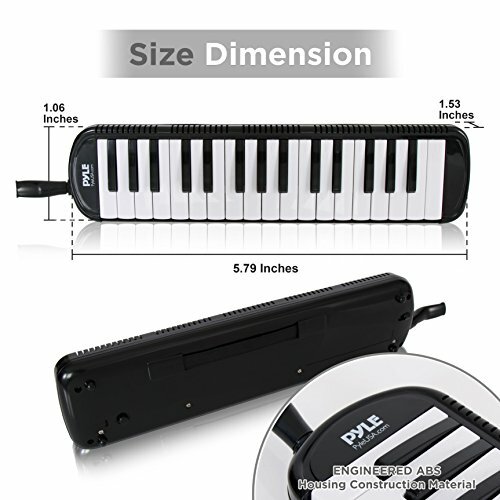 It is also known as a Keyboard Harmonica, Melody Horn, Blow Organ and Pianica. 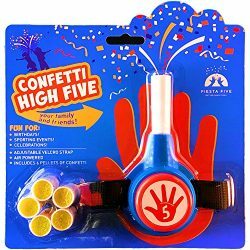 It produces sound by exhaling into not inhaling. 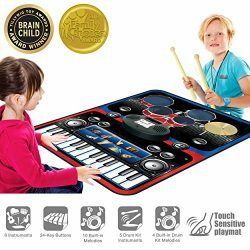 BEGINNER FRIENDLY: The wind piano and accessories set brings entertainment and musical fun for all ages and even great for beginners! 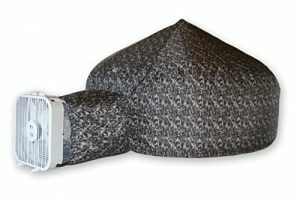 It features machined internal slots for enhanced airflow and reinforced comb and air chambers to maximize use. HANDY AND PORTABLE: This tremolo key harmonica allows you to take and enjoy playing with the instrument anywhere with its compact and handy design! 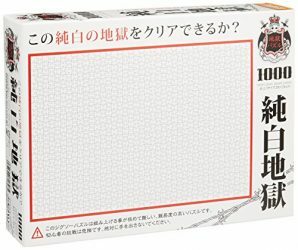 It can easily fit in a backpack or hard case for easy portability. Includes mouthpiece and tube. EASE OF USE: Provides you two ways to use the instrument effectively: for advanced and pro players, it can be held upright close to the mouth and be played like a flute. For beginners, place on your lap or on a table to get a full view of the keys. 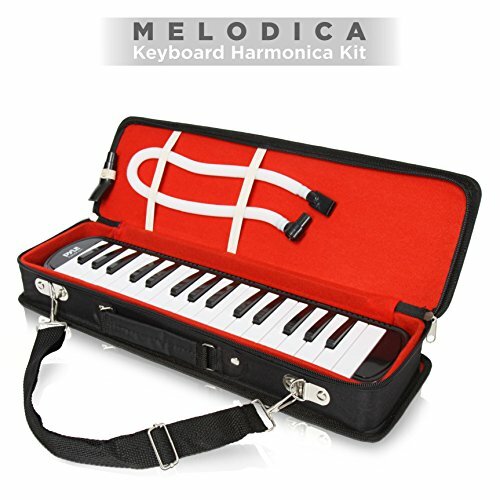 EXCEPTIONAL SOUND: The professional melodica sounds very much like a harmonica but when playing more than one note at a time it can sound very close to an accordion. 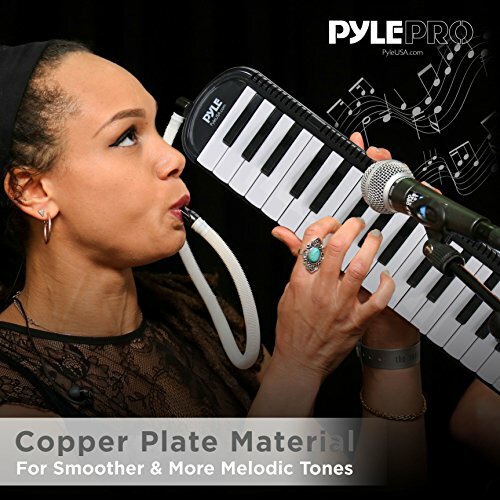 It is made with a copper plate for smoother & more melodic tones.